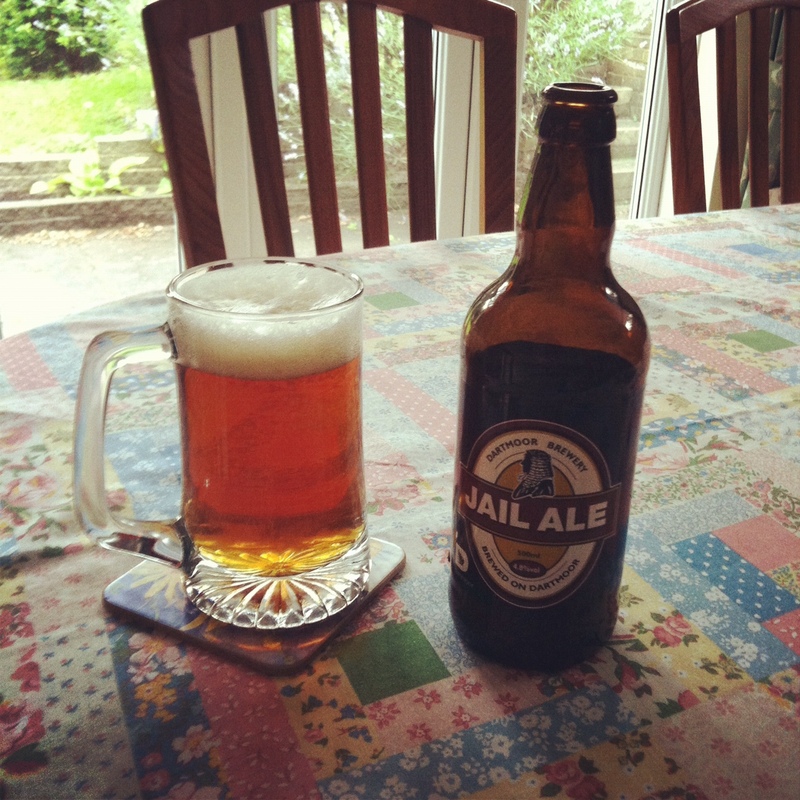 Dartmoor Brewery – Jail Ale. After Sunday’s slightly unusual discovery of a completely flat ale, on Tuesday night I drank the third beer my parents bought for me in Devon, which was also the first one not from the Red Rock Brewery. Jail Ale, from the Dartmoor Brewery is a classic British ale. 4.8%, brewed on Dartmoor, and the ultimate molten colour. That was the first thing that struck me – the colour. My Mum kept commenting throughout the evening that that is the colour that ale should be, and I honestly can’t disagree with her, particularly as I’m not a stout fan. We all know I’m not the best arbiter of taste, but this was hoppy and refreshing. Dartmoor Brewery have just won a SIBA regional award, and you can see why. Jail ale had a slightly sweet aftertaste, so there was none of that “ack” you sometimes get. The website is here, and if you’re in the south west, this is certainly a beer to seek out.